A new way to develop the knowledge about food in a different way: this is Unisg study trip. There are different kinds of study trip. The one I am going to explain to you is the shortest one: Agrofood. It’s really interesting to learn from this kind of view about food because you can develop your knowledge about it in a different way. For example, when you read a book, you are usually just the the reader. However, in this moment however, you can decide to be the author of the book. You find the way to know the product, to let people know about it becoming the main character, the author of the product. Food isn’t only the kind of thing you can find in the supermarket, it’s something different, something mysterious and mystic. This trip was divided in three phases, by the way two main parts. The first one: at university, lessons were given by the professors about the products we would see in the following days. The second one: the visit to the producers. The visits were near Bra, mainly in Langhe and Roero. This one was focused on cheese, beer, wine and cured meat. 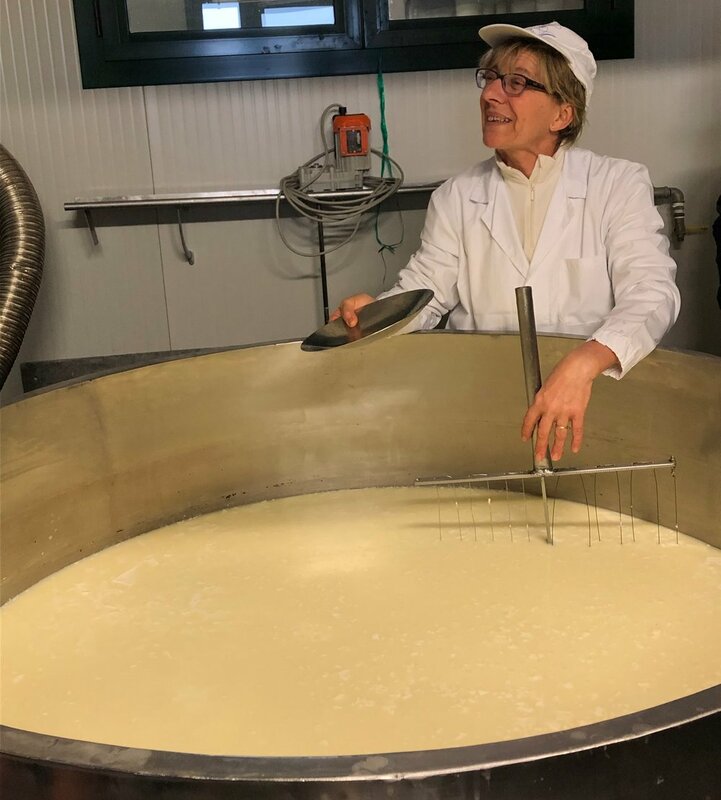 There was the opportunity to make cheese with producers for example and to taste it. This was the most interesting way to know producer’s feeling. That is the way to keep the emotions and transmit them to consumers/eaters. In the photo you can see Plasentif. Have you ever heard about it? It’s a typical cheese from Val Chisone also known like violet’s cheese, this is true love between the producer and his product! Study trips aren’t only about seeing beautiful things, you can also speak with producers about problems they have nowadays. It’s difficult for them to compete in a society in which quantity is better than quality for most people. Just few companies have the monopoly of a lot of products. Other kinds of problem are for example food security and law. The producers don’t have economic support from some big organization/company, so they have to work a lot to see their products on the market. But what they don’t lack in is attention to sustainability, passion for their job and using good quality ingredients. Take on fire your interest about the history of the products. Organize your own trips. Keep eating, keep learning.